These days, TV reigns supreme. We binge it all night, talk about it all day and it influences so many parts of our lives. 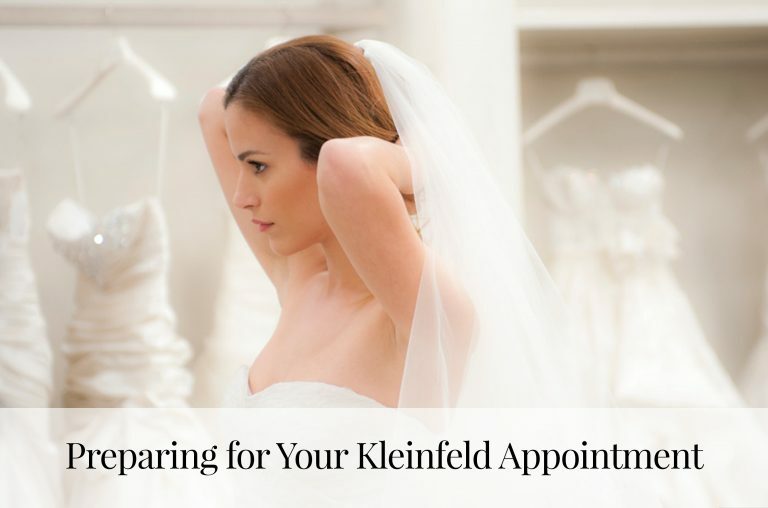 We get all of our beauty, hair, and fashion trends from our favorite shows—why not our bridal looks too?! 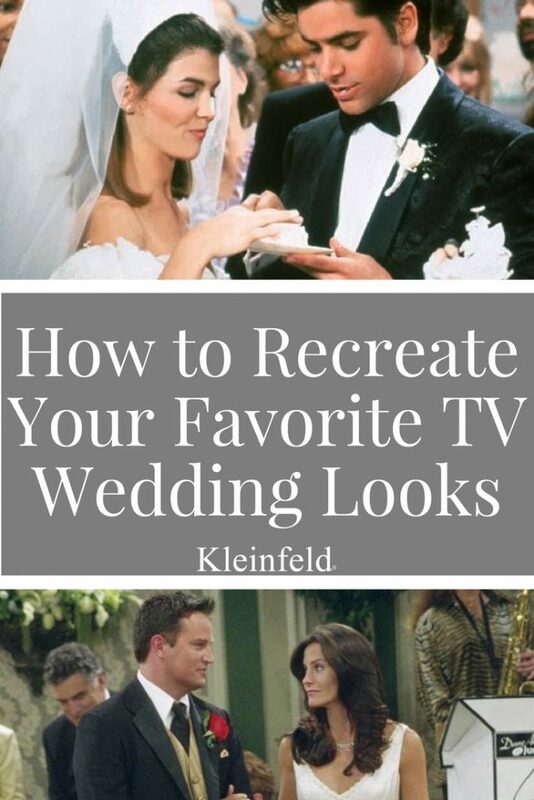 Here are our top iconic TV bridal looks and how you can recreate them on your wedding day (we’ve got plenty of options right here at Kleinfeld). 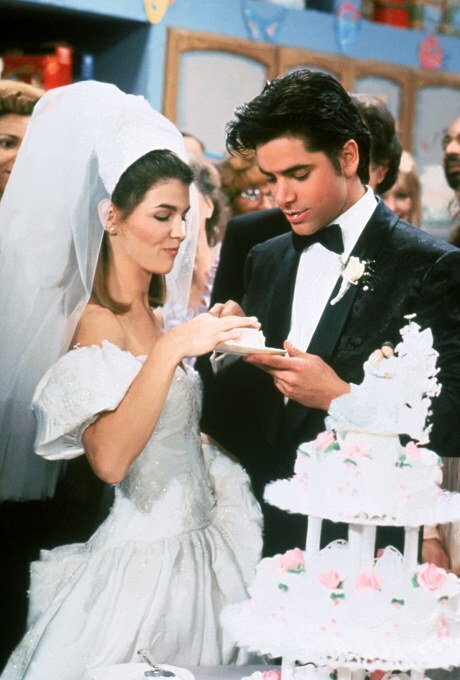 We all know and love Uncle Jesse and Aunt Becky from Full House, and if you’re like us, we couldn’t wait for them to get married! 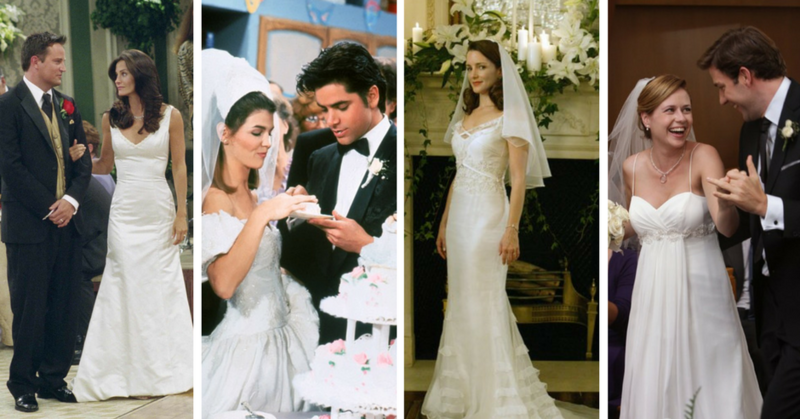 Becky wore an off-the-shoulder lace beaded ball gown with puff sleeves—a typical late 80s and early 90s dress! To bring this look into the 21st century, try this or this. 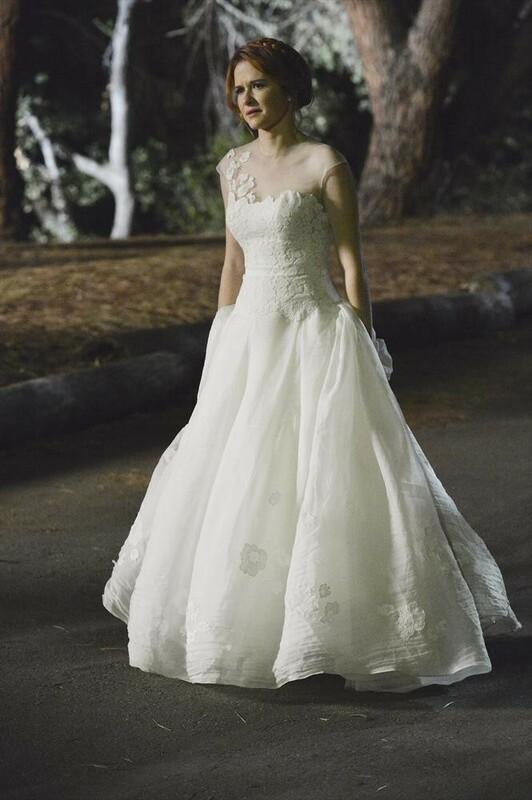 While April’s wedding didn’t go as planned (no spoilers here! ), we can all agree that her illusion neckline lace and tulle Peter Langner ball gown was stunning. You can actually try this exact gown on at one of our Peter Langner Trunk Shows. Can’t wait that long? Browse some of our other Peter Langner wedding dresses here. 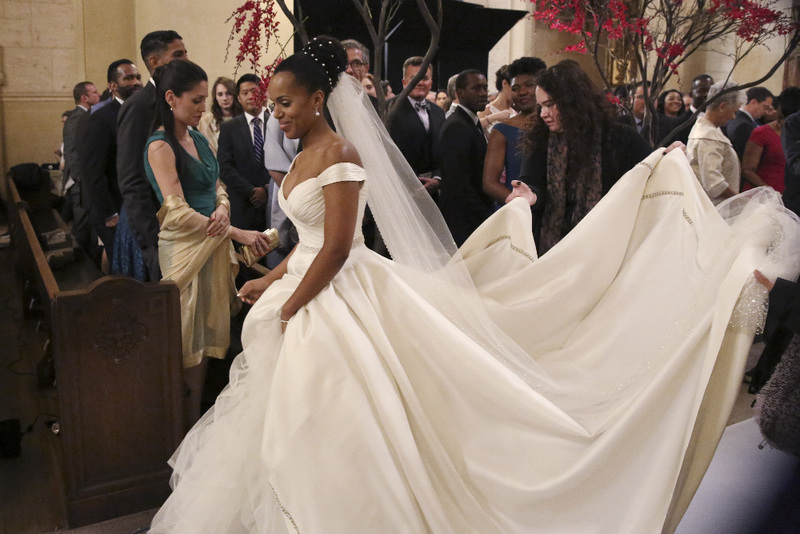 We’ve got another perfect match for you—Olivia Pope (played by Kerry Washington) wore this classic and breathtaking Anne Barge off-the-shoulder sweetheart ball gown with added beaded belt on Scandal. Laura (played by Jamila Velazquez) looked like music royalty in this Pnina Tornai sleeveless sweetheart ball gown with illusion corset bodice on Empire. 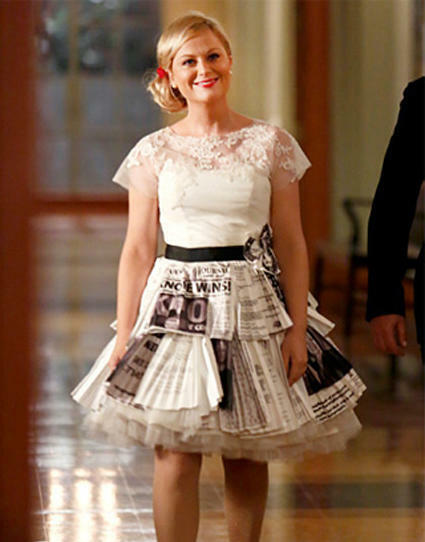 While Leslie Knope’s dress doesn’t have a designer (she made it herself out of newspaper clippings!) we definitely love her tea length gown, complete with cap sleeves and an illusion neckline on Parks and Recreation. Want to copy her look? Try this or this. 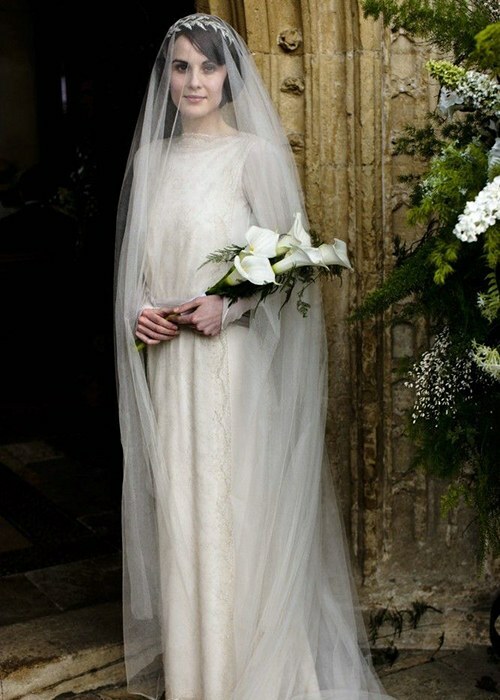 We love the regal and classic feel of Mary’s wedding dress on Downton Abbey. If you’re looking for a long sleeve sheath gown with bateau neckline like Mary’s, try this or this. While we all can’t wait for Meghan Markle to get married in real life, we can watch her character on Suits get married in the meantime! Markle’s character Rachel will wear this exact Anne Barge wedding dress when she marries her longtime beau Mike in the new season. For all you 90s kids out there, how could you forget the union of such an iconic couple, Cory and Topanga on Boy Meets World. While Topanga’s dress might be a little stuck in the 90s, try this dress if you like a fuller skirt, or this one if you prefer a body-hugging fit. 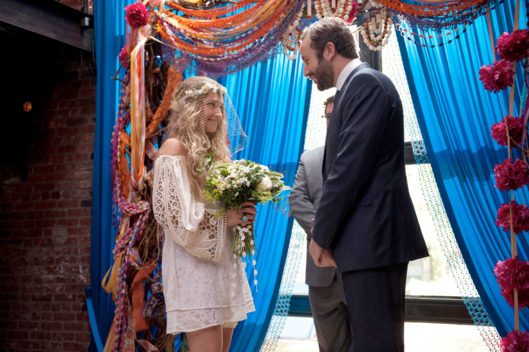 Just like her bohemian personality, Jessa in Girls wore a dress to match—off-the-shoulder, crocheted lace with big bell sleeves. Try this dress if you like cocktail length or this one if you want full length. While loyal SATC fans can agree that Harry is the better husband, Charlotte looked stunning and classic at her wedding to her first husband Trey in this beaded strapless straight neckline ball gown. Wanting the York-MacDougal look? Here and here. Charlotte does a complete 180 for her second wedding to her cute hubby Harry in this fit and flare spaghetti strap dress with ruffled organza skirt and off-the-shoulder flutter sleeves. Like the simplicity of the fit and flare? Try this. 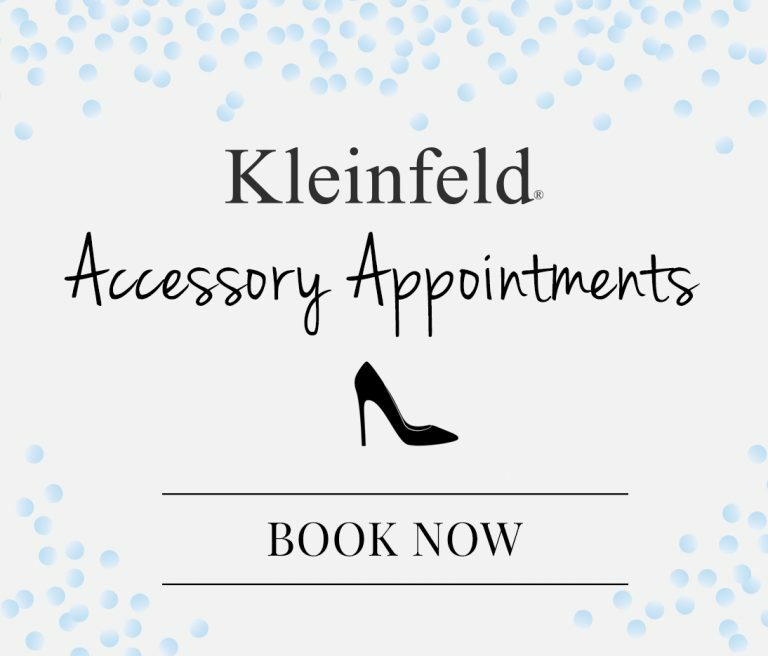 Want something off-the-shoulder with a spaghetti strap? Try this. Love the ruffled skirt? This. 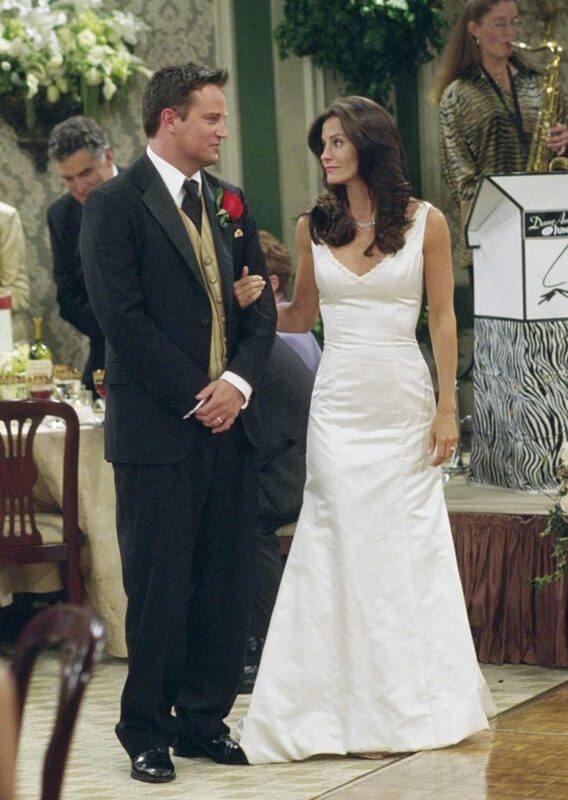 Of all the weddings on Friends, Monica and Chandler’s was by far our favorite. Monica exuded elegance and timelessness while still showing off her figure in a simple v-neck sleeveless satin fit and flare gown. For the most accurate match, try this dress. For something a little more fitted, try this, and more flowy, try this. If you’re a fan of The Office, then you’re sure to remember this tearjerker wedding of all star TV dream couple, Jim and Pam. Pam wore an organza spaghetti strap gown with a sweetheart neckline and beaded empire waist—and you can too! Like the beaded aspect of her gown? Try this one. Love the empire waist and flowy feel? This dress is perfect. Simplicity? This. Love these dresses but looking for more? Check out our dress gallery with over 1,400 gowns (and more arriving every day). Want to know what happens after you say yes? 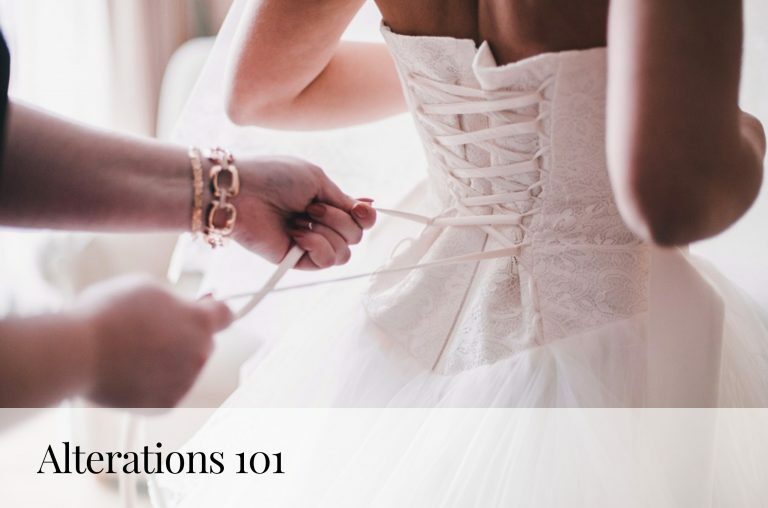 Learn more about alterations here.